In each apartment house there are apartments, tenants who refuse to pay for public services. This creates certain problems in the financing and maintenance of the house. If it is payable for one month, not to worry – the temporary financial problems happen at all. When the defaulter has accumulated a large amount of debt, you need to take more drastic measures to collect debts for utility services. First notify the tenant that his apartment had a debt for utility payments. Explain to the homeowners the need for timely payment. Give specific evidence of failure of preparation for the upcoming winter heating season, the amounts of debt throughout the house. Normal conversation is enough to understand the need for timely payment. There are cases when the landlord was busy or long absent, so a debt. He should just remind you that to make rent must be on time, and the situation is soon resolved. If the tenant is a malicious defaulters, notice to debt have to be in writing. Call the co-op Board on the question of further action against malicious defaulters. Discuss the steps that need to be taken to each specific debtor. Select the measures that will be forced to pay for public services – an appeal to the electricity supplier joint visits to these residents or filing a lawsuit. Assign responsibility for carrying out assigned actions. All taken at the meeting record decisions in meeting minutes. Make a notice for the defaulters of the decision of the HOA and once again offer to repay the debt within a specific time frame. Notify that in case of failure the case of the recovery of the debt will be handed over to the world court. To the debtor in the court does not refer to ignorance of the situation with the debt, send the notice by registered mail with acknowledgement of receipt. Write a petition to the world court to recover from the particular tenant's debt for communal services. Pay state fee and send the documents to the magistrate. After examining the submitted documents, the court will issue a decision on recovery of debt. The Respondent may, within 10 days, may appeal against the decision of the court. If no steps are taken by the debtor, the court decision becomes legitimate. According to Housing, Civil and Tax codes, all property owners are required to pay utility bills for services rendered and to make timely tax payments. 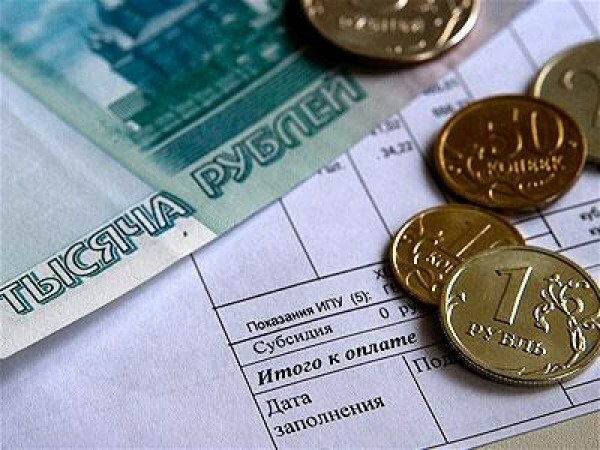 If one apartment has debt, then the asset holder or the tax Inspectorate may take any measures that do not violate the legislation of the Russian Federation to recover the debt and the penalty. If the landlord has delayed the payment of utility bills or have not paid according to submitted receipts tax payments, you have the right to resend the receipt with the amount of the penalty. Interest is calculated at the rate of 1/300 of the outstanding amount for each day of delay. 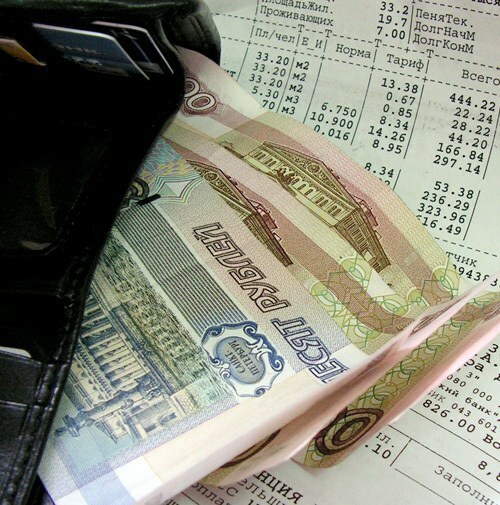 If you continue to send receipts with the calculation of the new amount of the penalty, and payments not credited, will provide written notice to the debtor. For the written notice, send a registered letter with the investment inventory, which will be awarded to the debtor against receipt. In the notice, specify the final maturity payment and the amount of the penalty. If this measure is not forced to hurry with the payment, you have the right to convene the Board of the HOA and to discuss the specific penalties of the debtor. Meeting maintain a Protocol to be entered on the agenda, vote and decision. On the advice of the Board to prepare a statement and submit the case to the court for compulsory collection of the entire amount of duty and penalty. In the case of a court decision on forced as the recovery of all debts for utility bills or unpaid taxes, the Chairman of the HOA or the representative of the tax Inspectorate needs to contact the bailiffs with a writ of execution and a statement on debt collection. Then enter into the work of the bailiffs. They have the right to arrest the account of the debtor, contact the place of work for enforcement of the debt. In an extreme case, produced an inventory of valuable property and its realization in repayment of the formed debts. If a large amount of debt, property, Bank accounts and operate the debtor is not, then apply an exceptional measure to resettle the debtor to cheaper housing and the implementation of the apartment to pay all the debts. This method of obtaining debt is used in very rare cases, as the majority of debtors don't even bring the case to court, but limited to the notification and makes all the debts in full.